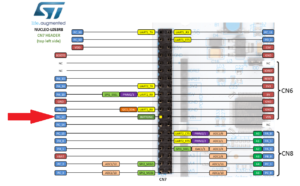 This project is used for create a Wireless Doorbell based on SPIRIT1 & NUCLEO boards. The SW is a derivation of this with some change for do a wireless door bell. of course are necessary two kits. 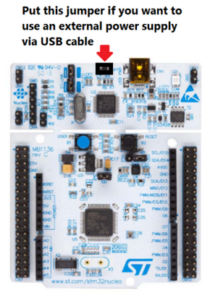 Thanks to mBED is very easy transfer the SW on other Boards or MCU. The binary file ready to download on the TX and RX kit are here. 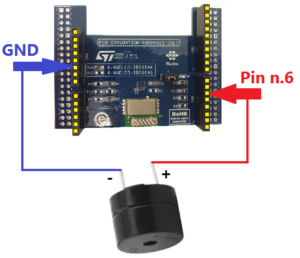 The send_buf is your password used for the communication from the external doorbell to the internal ringer. 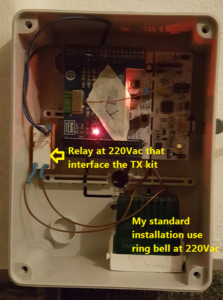 Change it to avoid interference between two Doorbells made with the same KIT and SW. If you need to change the sound of the ring tone the routine to change start at line 178 until line 204. If you connect the KIT to the PC and use a terminal emulation, we suggest TeraTerm, you see the extra information. 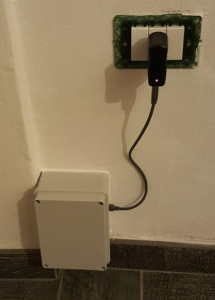 For this project we have used the X-NUCLEO-IDS01A4 that cover some tens of meters (it use a small integrated antenna). 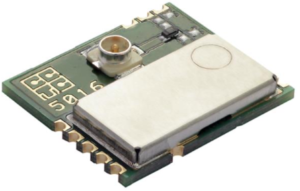 If you need cover 50…100 meters, we suggest to use the SPSGRFC – available at 433, 868 or 915 MHz MHz – (UFL connector for external antenna + SPIRIT1). The SW don’t change, change the distance that you cover that increase a lot. 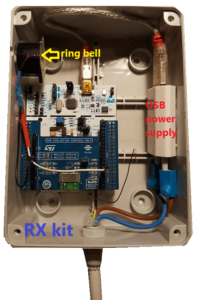 If you have already a DoorBell installed in your home and you need install a new internal ringer you must use this project. It is necessary only substitute the Push Button, with a relay connected in parallel to your current internal ringtone. Of course choose a relay with appropriate work voltage compatible to your internal ringtone.